On Dec. 8, 1964, Mike Manatos wrote a letter that explains what's wrong with the Senate in 2009. This wasn't, of course, the subject of his letter. Manatos was no futurist; he was Lyndon Johnson's liaison to the Senate, and he was writing to update his bosses on Medicare's chances in the aftermath of the 1964 election. Surveying the incoming crop of senators, Manatos counted a solid majority in favor of the president's effort. "If all our supporters are present and voting we would win by a vote of 55 to 45," he predicted. That letter would never be written now. In today's Senate, 55 votes isn't enough to "win," or anything close to it; it's enough to get you five votes away from the 60 votes you need to shut down a filibuster. Only then, in most cases, can a law be passed. 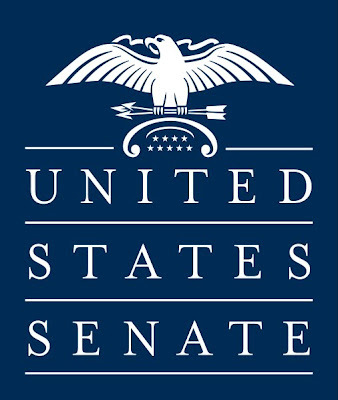 The modern Senate is a radically different institution than the Senate of the 1960s, and the dysfunction exhibited in its debate over health care -- the absence of bipartisanship, the use of the filibuster to obstruct progress rather than protect debate, the ability of any given senator to hold the bill hostage to his or her demands -- has convinced many, both inside and outside the chamber, that it needs to be fixed. This might seem an odd moment to argue that the Senate is fundamentally broken and repairs should top our list of priorities. After all, the Senate passed a $900 billion health-care bill Thursday morning. But consider the context: Arlen Specter's defection from the Republican Party earlier this year gave Democrats 60 votes in the Senate -- a larger majority than either party has had since the '70s. Democrats also controlled the House and the presidency, and were working in the aftermath of a financial crisis that occurred on a Republican president's watch. This was a test of whether a party could govern when everything was stacked in its favor. The answer seems to be, well, not really. The Democrats ended up focusing on health-care reform's low-hanging fruit: the bill the Senate ultimately passed does much more to increase coverage than it does to address the considerably harder problem of cost control, it strengthens the existing private insurance system and it does not include a public insurance option. And Democrats still could not find a single Republican vote, which meant they had to give Nebraska a coupon entitling it to a free Medicaid expansion and hand Joe Lieberman a voucher that's good for anything he wants. If the Senate cannot govern effectively even when history conspires to free its hand, then it cannot govern. To understand why the modern legislative process is so bad, why every Senator seems able to demand a king's ransom in return for his or her vote and no bill ever seems to be truly bipartisan, you need to understand one basic fact: The government can function if the minority party has either the incentive to make the majority fail or the power to make the majority fail. It cannot function if it has both. In decades past, the parties did not feel they had both. Cooperation was the Senate's custom, if not its rule. But in the 1990s, Newt Gingrich, then the minority whip of the House, and Bob Dole, then the minority leader of the Senate, realized they did have both. A strategy of relentless obstruction brought then-president Bill Clinton to his knees, as the minority party discovered it had the tools to make the majority party fail. Unfortunately, both parties have followed Gingrich's playbook ever since. According to UCLA political scientist Barbara Sinclair, about 8 percent of major bills faced a filibuster in the 1960s. This decade, that jumped to 70 percent. The problem with the minority party continually making the majority party fail, of course, is that it means neither party can ever successfully govern the country. Jeff Merkley, a freshman Democratic Senator from Oregon and former speaker of Oregon's House of Representatives, spoke to this issue in an interview last week. "When you use the word filibuster," he said, "most of us in America envision it as the ability to speak at length and even delay progress by taking hours. I count myself among those Americans." He sighed. "But it's not a filibuster anymore. It's a supermajority requirement. And when that becomes commonly used, it's a recipe for paralysis." Tom Harkin, the veteran Iowa Democrat who chairs the Senate's influential Health, Education, Labor and Pensions Committee, was even more dismayed by recent events. His efforts to curb the filibuster began in the 1990s, when he was in the minority. "People say I only worry about this because I'm in the majority," he said Tuesday. "But I come at this with clean hands!" Back then, his partner in the effort to reform the filibuster was Lieberman. "The filibuster," Lieberman said at the time, "has become not only an obstacle to accomplishment here, but also a symbol of a lot that ails Washington today." Lieberman has since stopped worrying and learned to love obstructionism. But Harkin hasn't. This isn't just a Democratic concern, though Democrats, being in the majority, are the ones raising it now. In 2005, Senate majority leader Bill Frist nearly shut the chamber down over the Democratic habit of filibustering George W. Bush's judicial nominees. "This filibuster is nothing less than a formula for tyranny by the minority," he said at the time. Potential solutions abound. Harkin would eliminate the filibuster while still protecting the minority's right to debate. Under his proposal, bills would initially require 60 votes to pass. Three days later, that threshold would fall to 57. Three days after that, 54. And three days after that, 51. Merkley has some other ideas. One is to attract Republicans to the project by phasing the filibuster out six or eight years in the future, when we can't predict which party will initially benefit. There is real promise in Merkley's approach. The danger of reforming the Senate is that, like health-care reform before it, it comes to seem a partisan issue. It isn't. Members of both parties often take the fact that neither Democrats nor Republicans can govern effectively to mean they benefit from the filibuster half the time. In reality, the country loses the benefits of a working legislature all the time. But members of both parties have become attached to this idea that they can block objectionable legislation even when they're relatively powerless. This is evidence, perhaps, that both parties are so used to the victories of obstruction that they have forgotten their purpose is to amass victories through governance. Either way, a world in which the majority can pass its agenda is a better one, a place where the majority party is held accountable for its ideas and not for the gridlock and inaction furnished by the Senate's rules. Law professor Lawrence Lessig often compares the dysfunctions of the Congress to the woes of an alcoholic. An alcoholic, he says, might be facing cirrhosis of the liver, the loss of his family and terrible debt. Amidst all that, the fact that he drinks before bed at night might not seem his worst problem. But it is the first problem, the one that must be solved before he can solve any of the others. America, too, is facing more dramatic problems than the Senate rules: A coming budget crisis, catastrophic climate change and an archaic and inefficient tax system, to name a few. But none will be solved until we fix the dysfunctions of the Senate.